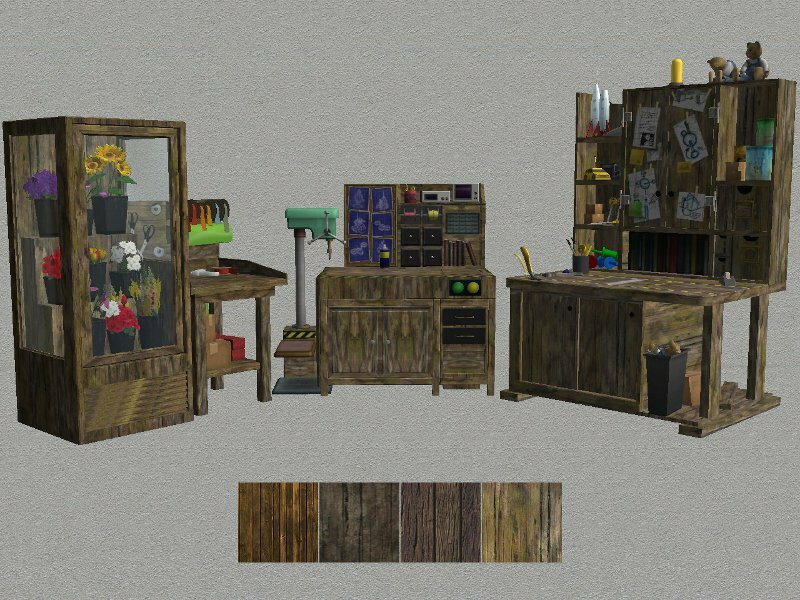 4 recolours of the Open for Business -The That Smells Great Floral Work Station, The Crazy Fun Toy Bench & The Non Deadly Robot Crafting Station. Brownwood - Medieval Grey - Rustic Brown - Rustic Green. Blacksmith Crafting Station and Suit-of-Armor Servo!